1. Professionalism: Our composers, lyricists and vocalists are professionals, with over 100 years combined experience performing, composing, and recording in the music industry. Our musicians and vocalists have performed concerts for audiences of thousands. 2. Fully customized lyrics: Our experienced lyricists will capture the life of the person(s) being honored in your song, capturing the mood you want: romantic, humorous, serious, or a combination. 3. Musical Variety: You can select the music for your customized song from a large assortment of original songs by our composers, written in an incredible variety of musical styles. 4. Sound Quality: Our recordings sound better! We give you full musical arrangements, not just a midi machine. We use top of the line recording studios to record, mix and master your song. Our Sound Engineers teach the art of recording at Universities. 5. Professional Personalized Graphics: We include professional graphics on your lyric sheets, CD jacket covers and CD labels, incorporating your own photos or other illustrations. 6. Experience: We have decades of song-writing experience, and satisfied customers have been ordering customized songs through Custom Wedding Songs and the other Song Legacy websites since 1999. 7. Professional Associations: Our composers, lyricists, and vocalists have worked with top professionals in the music industry including Doobie Brothers, Chaka Kahn, Quicksilver, B.B. King, Etta James, Lou Rawls, and more. 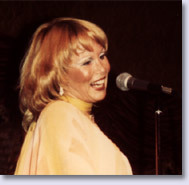 Kathleen Ebright Tarp has a long musical history that includes performing with many headliners around the world such as Lou Rawls, Bob Hope, and Victor Borge. 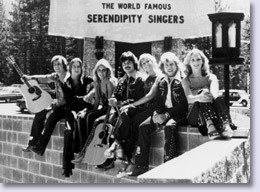 She has recorded numerous albums and appeared in countless television specials filmed throughout the United States and Canada with the Serendipity Singers. She traveled extensively for over ten years on the road with the Serendipity Singers and her own group performing throughout the U.S., Canada, and the Far East. Tarp is best known for her soulful interpretations of big band torch songs. She delights in "telling the story" and adding humor in her performances. Her professional career began at Circle Star Theatre near San Francisco when she was 17 playing to standing room only audiences. After earning her degree at California State University at San Jose, she has continued in music and created over ten years of successful, happy client relations at Song Legacy.com. Andrea Carter has been composing since the age of 5! Playing guitar, writing lyrics, and singing was always a part of her life. But 15 years ago, it became a major part, performing with her own band "Andrea's Fault" (which for those not living in California, the name is from the famous earthquake fault line: The San Andreas Fault). She now is a full-time prolific singer/songwriter and able to capture your story down to the last detail with warmth, poignancy and humor. Her sultry voice, reminiscent of 1940's Torch Songstresses, adds to the romance of her music. Her lilting ability to switch from one octave to the next is evocative of Sarah McLaughlin. Wow! What a surprise...A little Diana Krall and Norah Jones mixture, with original lyrics and a great sounding group all together! Singer-songwriter MaryLee Sunseri is the winner of four Parents' Choice Awards and two American Library Association Notable Children's Recordings. Her credits include performing the title song to Walt Disney's "Apple Dumpling Gang," Mattel Toys' "See 'N Say," touring America as a member of "Randy Sparks & The Back Porch Majority" and many concert appearances with the legendary Burl Ives. She received her certificate of study in Musical Theatre from London Drama School with distinction in singing. 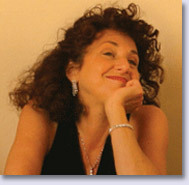 Learn more about MaryLee at her website, http://www.maryleemusic.com/. Roger Eddy is known for his "sax appeal, saxfistication, and saxvoirfaire"! The composer, flautist, and jazz saxophone player has performed with Huey Lewis, Glenn Frey of the Eagles, Vince Gill, Lou Rawls, The Gatlin Brothers Band, Frankie Valli, and many more. His band has opened for the Pointer Sisters, Spyro-Gyra, Tom Scott, Toto, and Larry Carlton, to name just a few. He has toured with the Robben Ford Blues Band and headlined with the Carla Bley Big Band at the 2005 Monterey Jazz Festival. His smooth jazz compositions have received national airplay and he is the epitome of the quintessential musician's musician who can play anything from rock to jazz to classical. The Doobie Brothers, Little River Band, Chaka Kahn, and Pablo Cruise are just a few of the bands Richard has toured with throughout the years. Possessing one of the most remarkable voices on the planet, his distinct and soulful voice has graced countless albums in rock, funk, R&B, and smooth jazz genres. Richard is a lead vocalist for "The White Album Ensemble," a group of extraordinary musicians who have played with the Doobie Brothers, Larry Hosford Band, Quicksilver Messenger Service, Lacy J Dalton, Average White Band, Sons of Champlin, and It's A Beautiful Day, and have sold out over 15 concerts in theatres - performing the Beatles' "White Album" music, which was never performed live by the Beatles. The 8 extraordinary musicians, who have spent months and months rehearsing, now perform The White Album, Rubber Soul, Revolver, Sgt Peppers, Magical Mystery Tour albums, note for note, with 8 to 15 piece ensembles, as well as symphony accompaniment. They've raised over $20,000 for music in the schools in Santa Cruz, and Guitars, not Guns, a non-profit, non-violent organization.